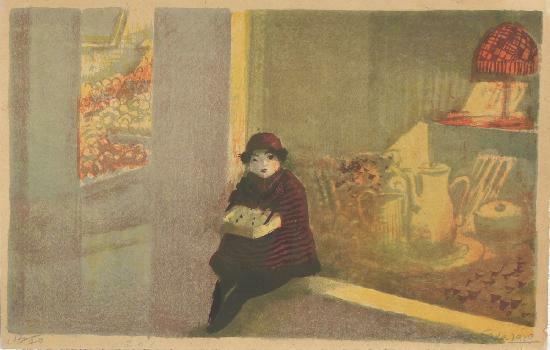 Ningyō-uri shōjo (人形売少女) Doll-selling girl, lithograph from the series Gashū Ginza (画集銀座). - Ginza Picture Book. Paper size: 29.3 x 19 cm. Number 12 from an edition of 20, self-printed in March 1929. Print details in pencil in the bottom margin.